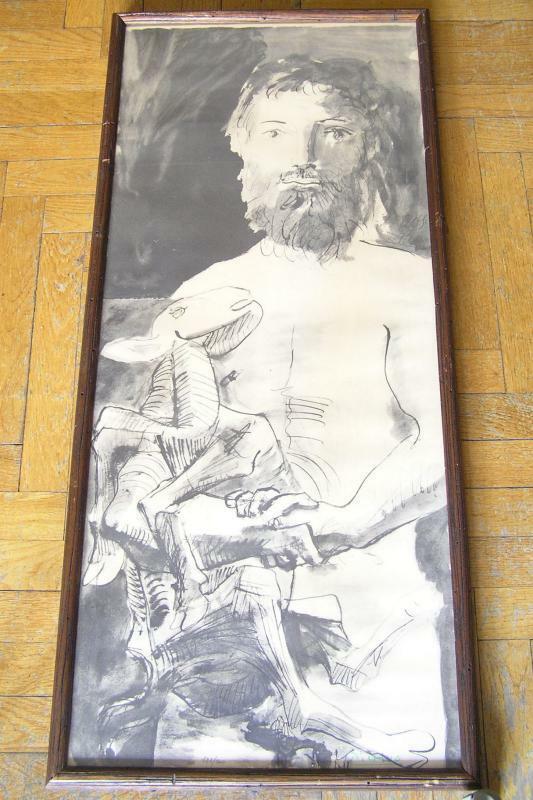 This limited edition lithograph by Pablo Picasso (1881-1973) is entitled Etude pour l'Homme au Mouton (Study for Man with Goat), after the preliminary watercolor tribute to Max Jacob done in 1943. 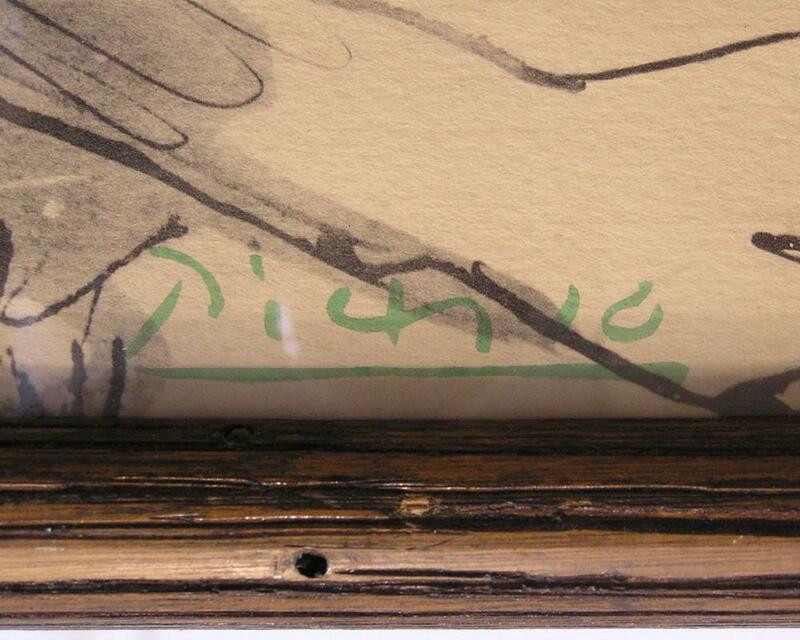 Green Picasso pochoir signature in lower right and numbered in pencil, 121/200, on Arches paper with the brand's blind stamp visible on the side. Approximately 37.5 x 15.5 inches. 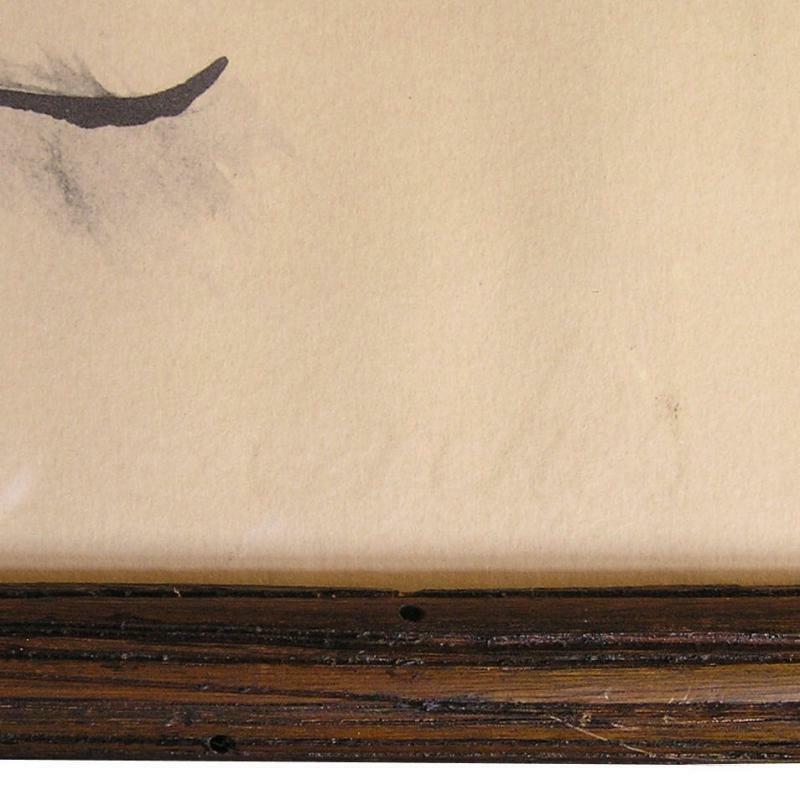 Mounted in rustic wooden frame under glass. Overall condition is very good. 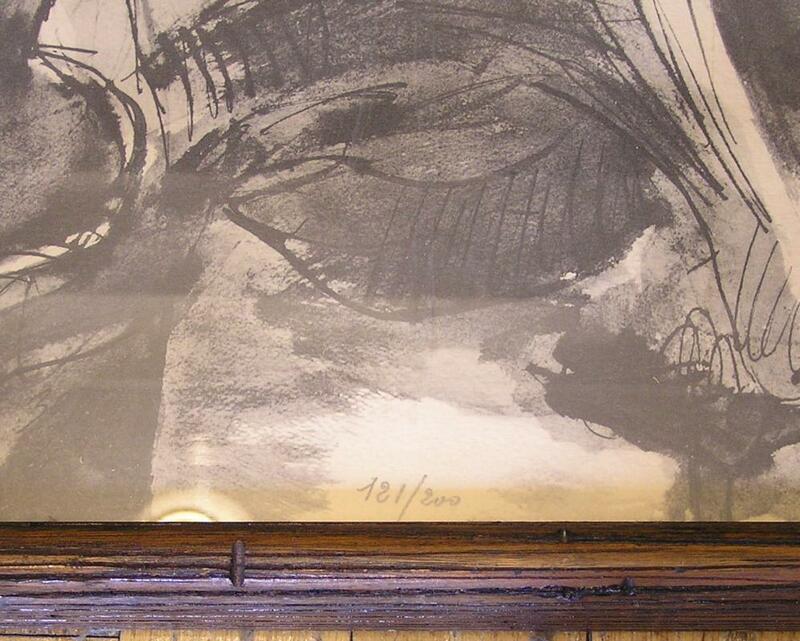 We have not removed the work from its frame for inspection, but will be happy to do so and issue additional photographs. Please note in our primary image there is a prominent shadow (not discoloration/damage) toward the right side of the work. This print and edition of 200 is distinguished from the one included in La Flute Double, a folio suite of 15 lithographs of watercolors done by Picasso from 1932 to 1955, printed in Paris by Daniel Jacomet in 1967 on Moulin Richard de Bas paper, and published by Au Vent d'Arles of Saint-Paul-de-Provence, in a limited edition of 500. Notably, prints from that suite are not numbered. 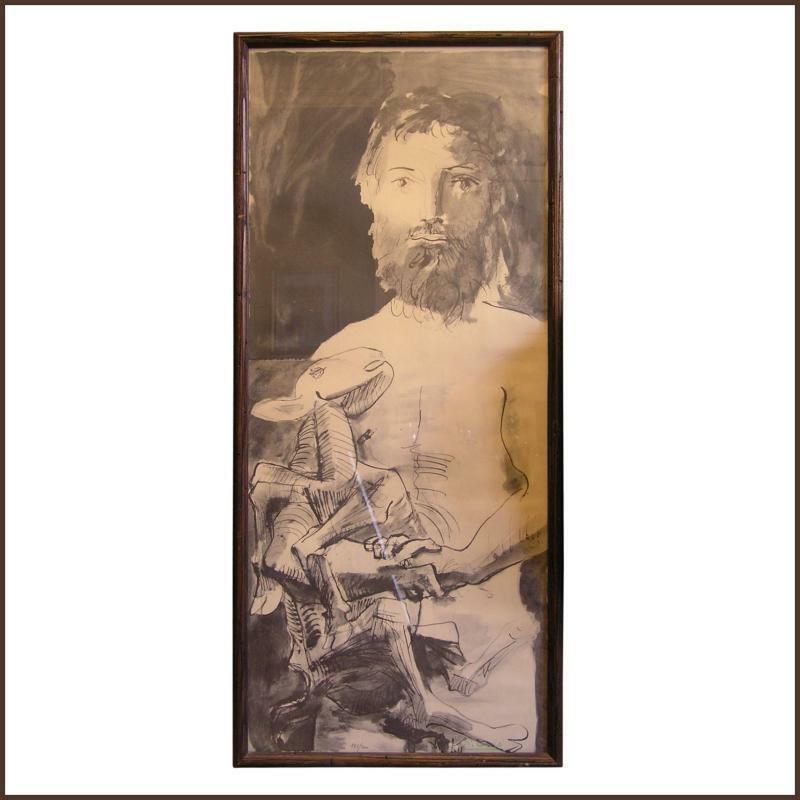 The original work in pen and ink and wash on paper, signed and dated March 14, 1943, was offered by Sotheby's in their Art Impressionniste & Moderne sale in Paris on June 6, 2013, in lot 1 with an estimate of 100,000-150,000 euro, and closed at 193,500.